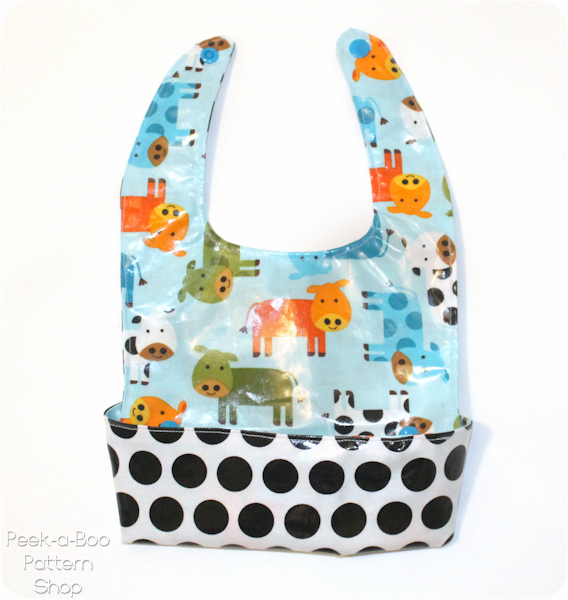 Today I’m sharing the Ultimate Free Baby Bib Pattern with you! The catch-all pocket in front sticks out to catch messes. 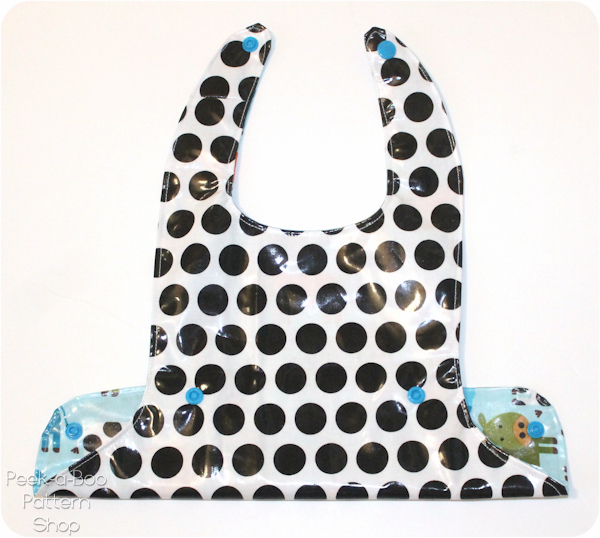 The unique design will also hold liquids without leaking; bring on the soup, this bib can handle it! Pretty good for a free bib. When mealtime is over it un-snaps so you can wipe it clean. 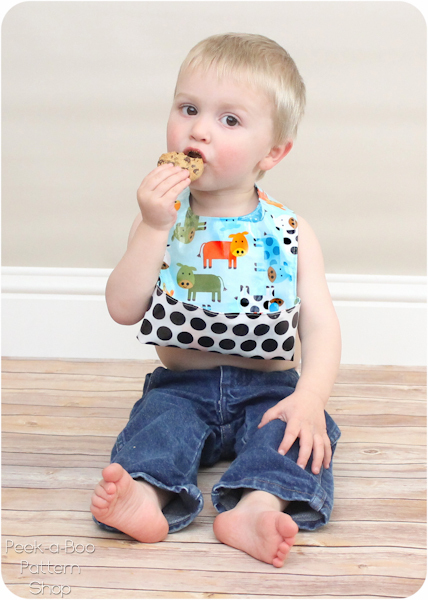 No more food and junk hiding out in those corner of the bib! My 2 year old has put this to test and this one is toddler approved 🙂 This bib is comfortable to wear, does the job well and is easy to clean! Laminates generously provided my fabric for this post but all opinions are my own. I really love this shop! 1. 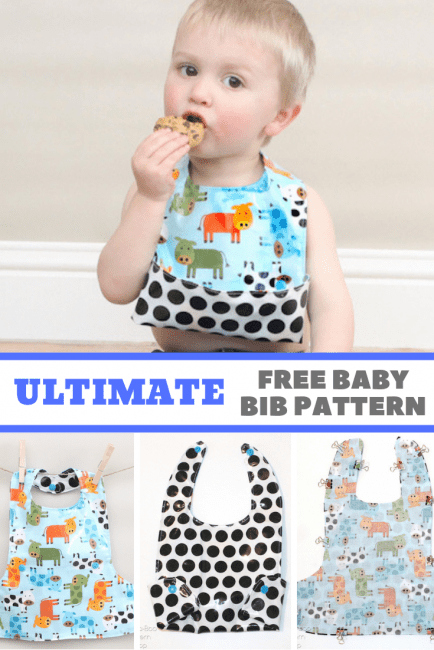 Download your FREE BIB PATTERN. Pattern is free when you subscribe to our newsletter or join our facebook group (pattern coupon code in New Subscriber E-mail or on first post in Facebook Group)The pattern has a 1″ scale box for you to check that it printed correctly. As-is the bib is a good size for a 1-2 year old. 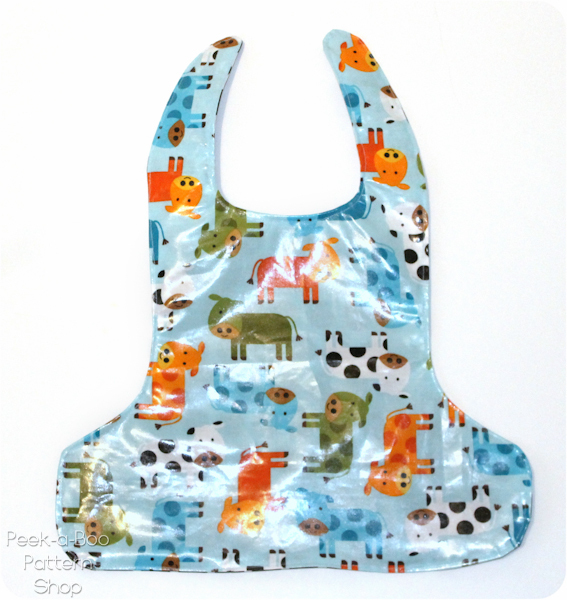 If you’d like a bigger or smaller bib just print the pattern out at more or less than 100% scale. 2. Cut out 2 bib pieces (1 for the front and 1 for the back). With laminated cotton you want to avoid using pins as they leave holes in the fabric so use binder clips, paper clips, etc. instead. 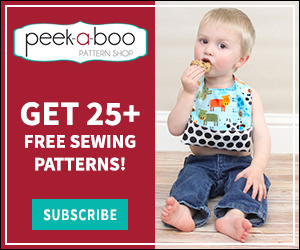 With right sides of the fabric together sew all the way around the bib with a 1/4″ seam allowance leaving a 3″ gap at the bottom. Clip into the seam allowance along the neckline and inward curve above the pocket. This will help it lay flat when you turn it right side out. 3. Turn the bib right side out and smooth it out with your fingers. You might need to use a chopstick to push the tail ends all the way out. If you used regular fabric you can go ahead and press it flat. Tuck in the raw edges along the bottom and topstitch all the way around the bib. 4. Now it’s time to add some snaps to the bib. The snap location is marked for you on the pattern piece. 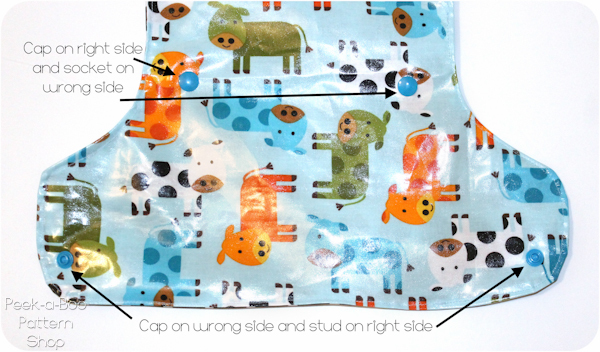 The 2 upper snaps should be installed with the cap on the right side of the fabric (the cow print) and the socket on the wrong side. The 2 lower snaps should be installed with the cap on the wrong side of the fabric and the stud on the right side of the fabric. You also need a snap to fasten the bib at the neckline. And that’s it! Previous Post: « Bundle UP Pattern Sale is here!! Can this pattern be PUL? I’m trying to get the pattern instructions. I put them in a cart order, but only the pattern downloaded. When I try to copy the instructions, I get the program code instead. I’ve spent a couple hours on this and continuing to try to close the ads over and over. How can I get the instructions? What do you mean by “Clip into the seam allowance”? I’ve definitely done something wrong here as the bib is slightly curled up after I’ve turned it out the right way. 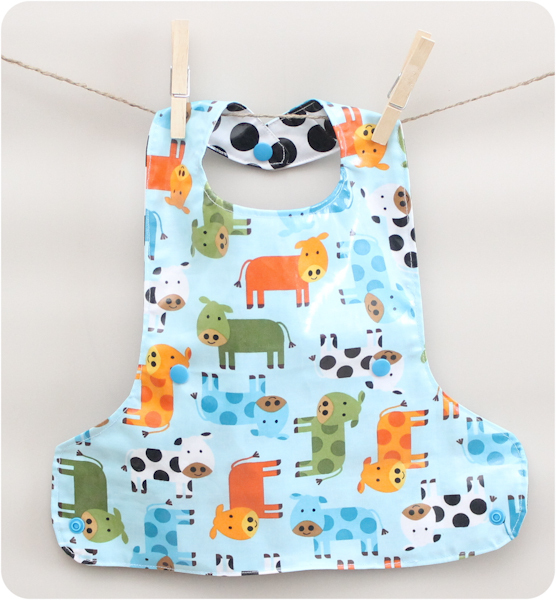 Hi Amy, I love, love, love these bibs! Thank you also for making recommendations for the supplies. I’ve never used Kamsnaps before and now I’m addicted. Every where I look there’s something to be Kamsnapped! Anyway, I made a few bibs this weekend to give away to my girlfriends and relatives (it seems everyone I know is having babies) and now some of them want to buy some. 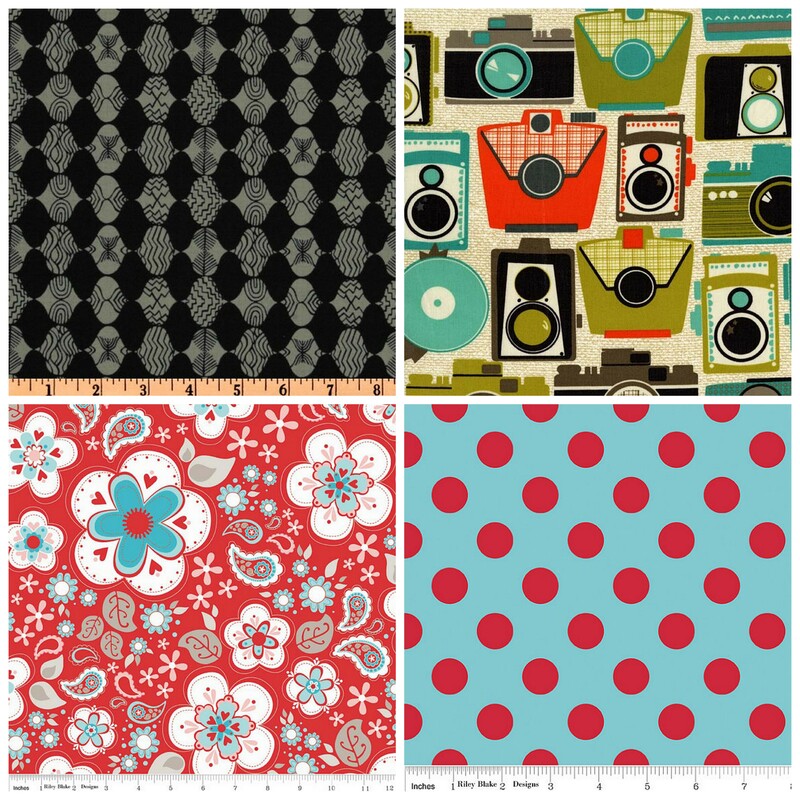 Is it ok to use your pattern to sell a few? Thanks again and wishing you and your loved ones all the best. 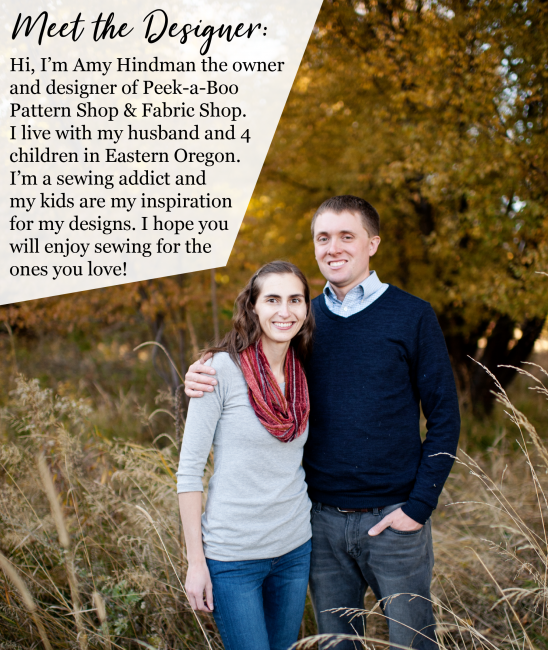 I’m so glad you are enjoying the pattern! You are welcome to sell items made from our patterns. Best of luck! Thank you Amy, this is just wonderful! Can’t wait to start. Greetings from Holland. 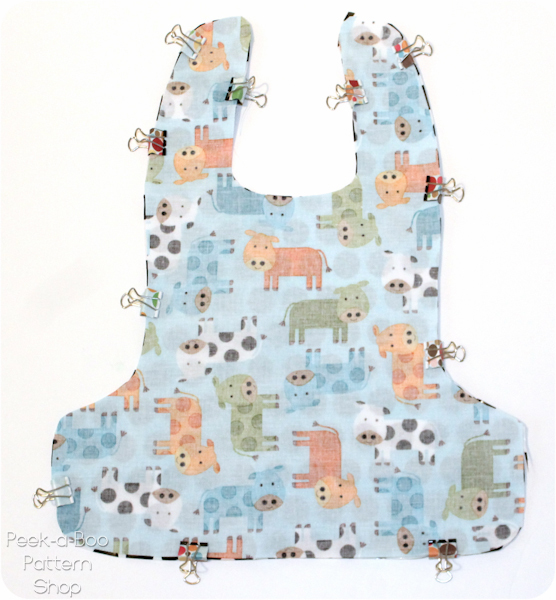 These bibs go together quickly and I love the little crumb-catcher pocket. Your directions are very clear. Thank you for sharing this pattern and tutorial! I bought this type of bib years ago and don’t see them in the stores anymore. I’m so glad I found your pattern. How much fabric do I need to make one? Hi Amy. Love this! 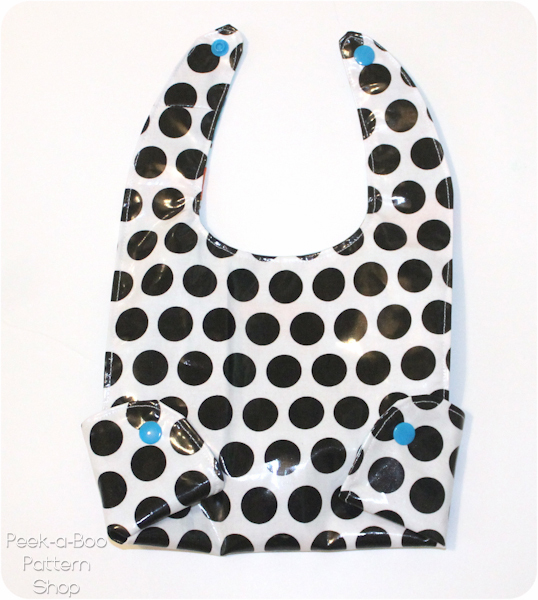 Can I sell bibs made using your pattern? What size are the snaps you recommend for the bibs? There are several sizes of snaps on “I love buttons.” Also, do you buy the laminated cotton that is laminated on front only? The ‘Laminates’ site offers several laminated cotton fabrics (front only, back only, & laminated– which I assume means both sides are laminated)? Another brilliant idea! I definitely agree with you that laminated cotton is much easier to sew and more comfortable than oil cloth. I already did a testing between the two and I could say that laminated cotton is better than oil cloth. I love this pattern, it will contribute a lot of learning for all of the aspiring baby maker. Cute baby bibs and awesome style! Alright lovely lady – I’m planning a crafty night with some girlfriends to teach a few of them to sew and make a bunch of these! Super fun – and I will blog about it when we make it happen! I’ve never worked with laminated cotton – are there any tricks? Universal needle; does it feed under the presser foot okay or do you need tissue or something? I’m guessing ironing it is out – any general advice? Thanks for the all around awesomeness! This looks so practical. I have 2 great nieces, both under 6 months . Think I may do them one each as a pressie. What needle do you use on the machine? Darling bib! Would make great gifts, thanks! Thank You so much. Looking forward to making some for gifts! Love this idea. Made some of these when my kids were little, almost 50 years. I never thought of making the catcher this way though, I had to turn mine inside out. This will be sooooooo much easier. Several babies coming. Thanks. Also, do you just use a normal needle? I just made one of these with PUL. Worked great! Doesn’t wipe clean, depending on what the food is, and the pocket gapes lots, tho. LOVE this pattern; thanks so much for posting! I’ve been having many issues with my nine month old twins (they are preemies, and quite tiny still) because I can’t get a bib that will do up tightly enough around their necks – right now food just falls down the neck hole and makes a hot mess out of their clothes. Going to give this a try – thank you!! I LOVE this!!! I’ll be making these for gifts for sure! I just bought some acrylic-coated cotton from ikea – this will be the first project I tackle with it 😉 um, also. I. Love. Kam. Snaps. Thank you for this darling pattern! 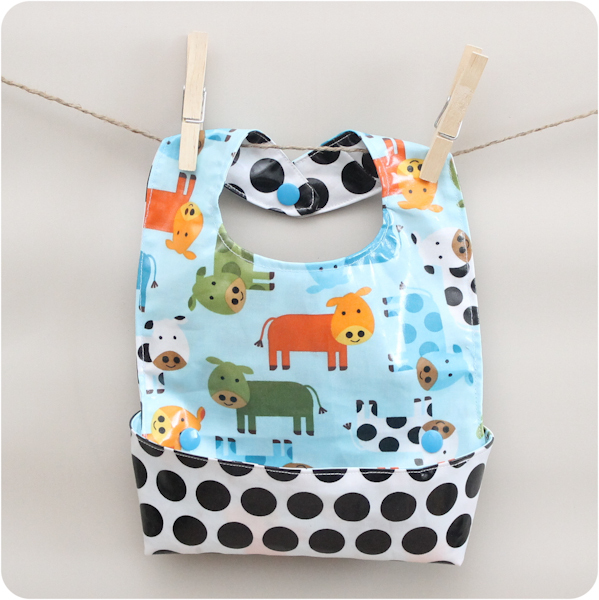 I cannot wait to make some of your bibs !